If you have a website and you’re trying to score on particular search terms, then you surely want to keep track of how you do it in Google’s search results. In this article I listed a number of useful tools and tips to find out how your website ranks in Google. After reading this article do you know how your position in the SERP’s by Google can find out, and what to look for. SERP stands for Search Engine Result Page. The easiest way to get your position in Google to figure out is maybe by just Google your search word. This is not always on, because Google shows different results per user and per device. So can you on a given search term on the first position in Google, but because your website is not suitable for mobile devices (responsive) is not displayed when your website via a mobile phone is wanted. You still use Yoast SEO for your articles? In addition, Google often has a profile of you, making the search results be completely customized to your surf-behavior and interests. For example, if your website will be shown first, because you have visited more often. To get around this you can Google the best visit in a private window (or in Google Chrome incognito window; a) before you want to check your search term. When you are in an incognito window (left) looking to see, the real search results you get when you don’t get to see your results on your surf-behavior are adjusted (right). Click for larger. Your surfing behavior (unless you’re in a private or incognito window are looking for). You understand now (hopefully) that you your position in the search results better cannot determine by simply going to Google and your search. The most important tool for website owners is actually Google Search Console (GSC). When you have linked to your website (WordPress) GSC-account you can find out a lot of important information in the free tool from Google. When you have linked with GSC Web site, you can find out a lot of information about your performance in this tool in Google. To the appropriate menu, click first on “dashboard” and then “searches”. You will now enter a screen from which you can get a lot of information. The image below is from a client of mine. I have the search terms made invisible. How CTR is calculated (source: Wikipedia). 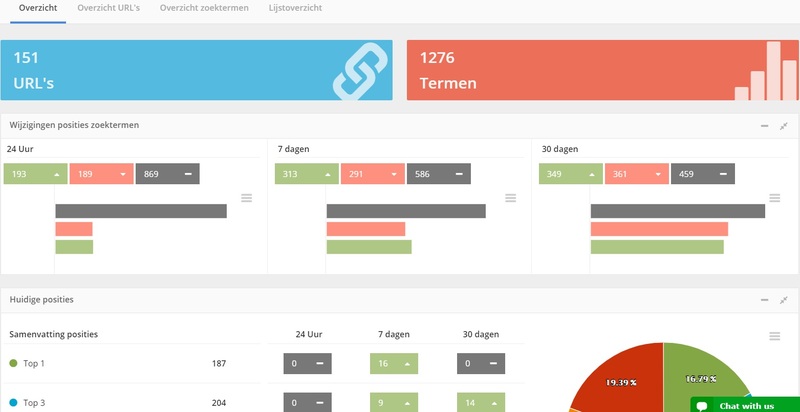 You can also select a period in the same screen. Useful if you for example want to know how your position on it is forward or fallen back. A tool that we use for several years for our other websites and those of our clients is Proranktracker. PRT offers many functionalities and is also pretty accurate when it comes to the rankings in Google. Some of the possibilities that are offer. By search engine local and national rankings, and progress of the rankings by day, week, month. And much more. Since PRT offers 2019 even Website Audit reports. You can already use Proranktracker for $44 per month. PRT is also 7-day free to try out. One of the best known tools is probably Ahrefs. 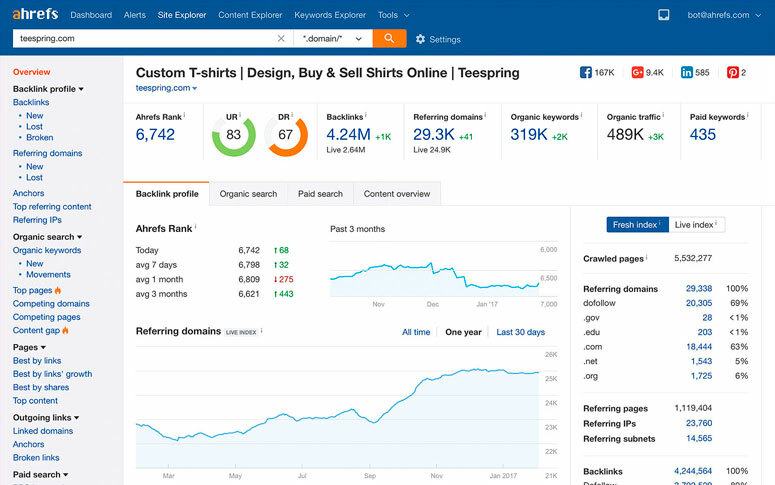 Ahrefs gives a very good insight in your link profile, and those of competitors. Also has a good ranktracker Ahrefs which, depending on the package you have, regularly update the positions. These positions are always very similar to what we see in Google and Google Search Console. In addition, Ahrefs much more including a Site Audit, Content gap research and more. We use the most if Ahrefs SEO tool of all tools. The tool is not cheap, the cheapest package costs $99 per month, but we think it is well worth the money. Moz is for the real SEO-specialists an indispensable tool. When you for 99 dollars a month the Pro Pack, you get unlimited access to the Open Site Explorer, which gives lots of useful insights in the number of backlinks and authority of your domain. Serpfox is an online tool that Jacobs has advised me. Serpfox offers packages starting from $10 per month, but also has a free package that allows you to track up to 10 keywords . In the example below (click for larger) you’ll see that I’m tracking how we score on the search term “WordPress manual“. 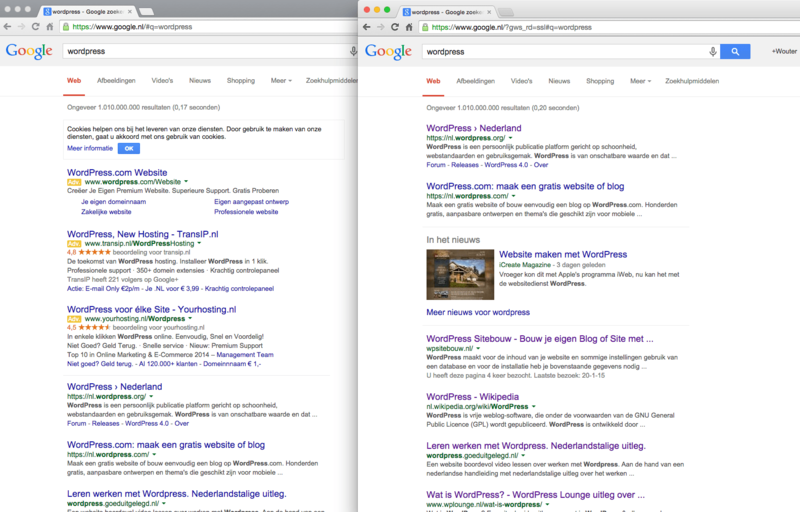 Our position in Google NL for that search term is currently “1” (this can be found under the heading “SERP”). Thanks to Serpfox I know right away if we no longer number one, because I have a email notification set. Per URL you can add multiple search terms in Serpfox. In the image below you can see what you all can fill if you add a keyword. 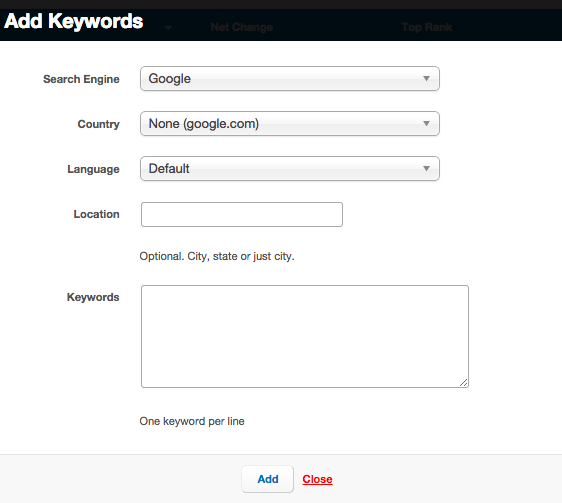 Add new keyword to Serpfox. You can choose from multiple search engines and countries. As a country I would “Netherlands”. I always let the language on “default”, because many people have not adapted their language. The “Location” leaves you empty, so you get the most neutral results. In the bottom field, enter the search terms in, one per line. The SEO Rank Monitor-tool is very popular. The disadvantage is that this tool is only available for a fee (from $19 per month). 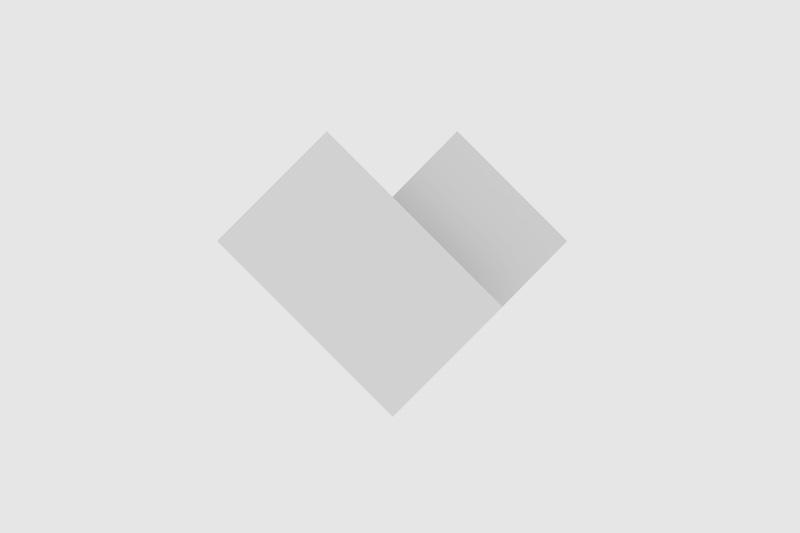 Is this tool a lot more extensive than, for example, Serpfox. Raven is a well-known tool that is used by many large companies. Raven allows you to have your website to check for duplicate content, meta titles and meta descriptions. Read more about duplicate content and the harmfulness of this can in an article on MarketingMed. SearchMetrics Suite is a very advanced tool to analyze your website SEO-area. The free version lets unfortunately very little information, but is already very worth it. Also fun; the top 10 risers and fallers by country in the field of “SEO visibility”. 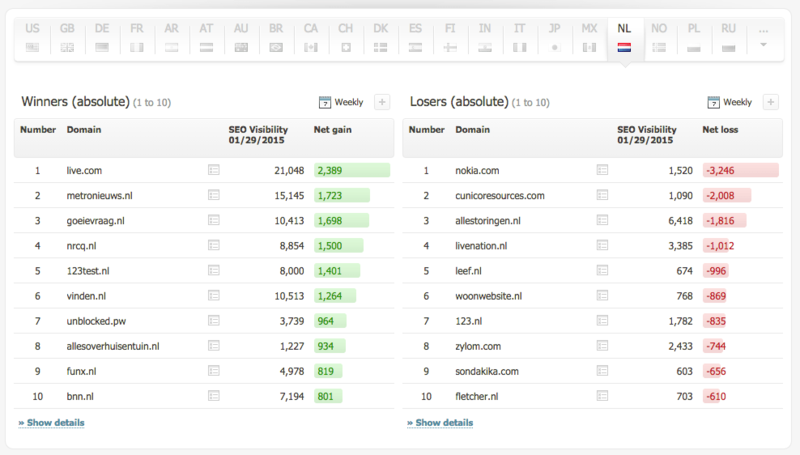 SearchMetrics risers and fallers; Live.com does well in Netherlands, while quite Nokia.com returning it. What tools do you use to keep track of your position in the SERPs? Leave a comment!